It's an obvious and fitting time of year to discuss "giving thanks." 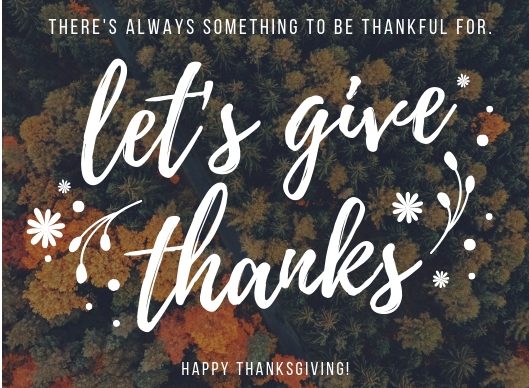 It's certainly a time of reflection as we pause and think of all that we are thankful for, both personally and professionally. In business, the #1 thing we should be thankful for is our customers. It should come as no surprise to you that we are thankful for them, but do they feel appreciated? 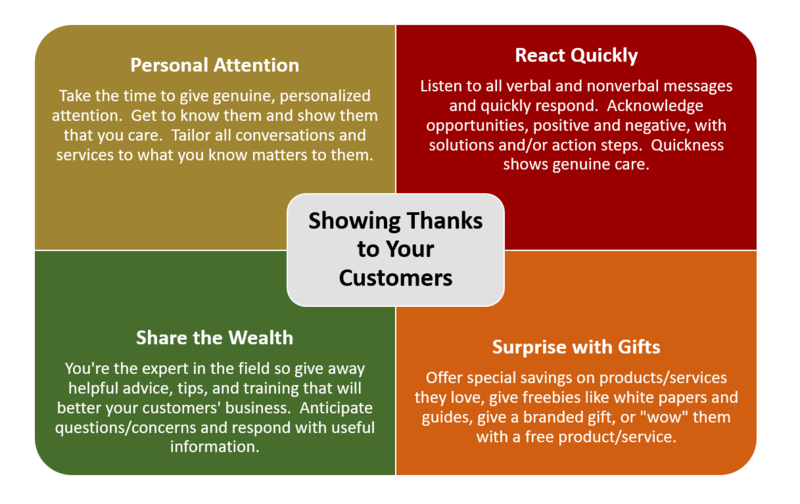 A simple "thank you" to them has become such a habit and ordinary part of our scripts and emails, so do you really think they pause when they hear or read those words and think, "Wow, they really appreciate me and the business I am giving them"? 9.5 times out of 10, the answer is no. Combining all of the above special extras will set yourself apart from other vendor, which in turn will mean your customers will keep coming back for more and will spread the word about how amazing working with you can be. All of this translates to increased value in the market and profits. To those of you who celebrate this holiday, we wish you a Happy Thanksgiving!